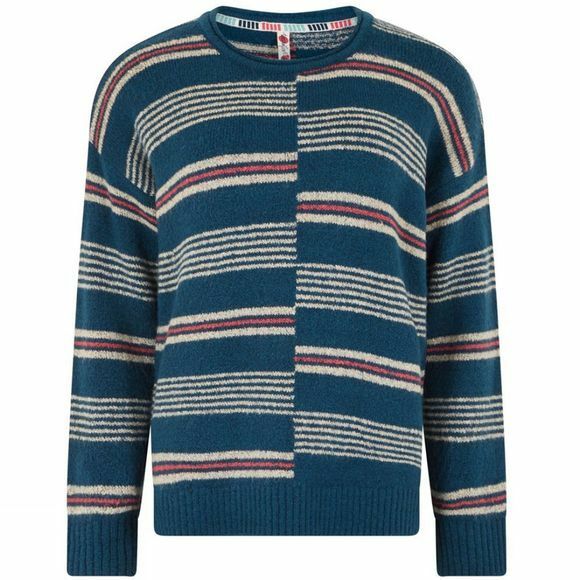 The Womens Niko Jumper from Weird Fish is a We've added a modern twist to our stripes this season with our new Niko intarsia stripe jumper. 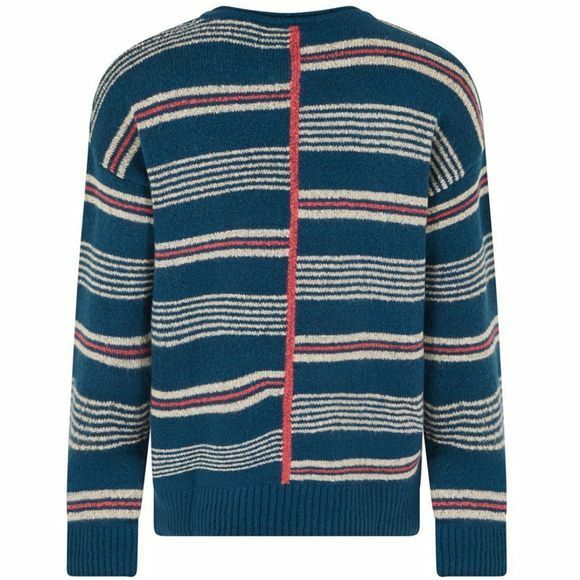 Made using a clever intarsia knitting technique, we have created an offset centre stripe that is bound to catch the eye for all the right reasons this season.We had your comfort in mind when designing the Niko, we've included a little bit of stretch and a dropped shoulder to give the perfect relaxed jumper that you'll want to wear everyday. Available in Chalk and Deep Sea Blue, the Niko features:Flat knit rib to the neck, hem and cuffsSide slits at the hem for improved fitSmall powderCoated metal Weird Fish badge on front left hemDropped shoulder style to give a more relaxed feelBound to make the colder season that little bit cosier, the Niko intarsia stripe jumper is super easy to style, just throw on with your favourite jeans and you're ready for the day.